It’s giveaway time! Thanks to you I hit some awesome milestones this month, 1000 followers on Pinterest and 1000 fans on Facebook! I started this blog just over a year ago and was super excited to have 100 followers after a couple of months. And here I am today, 1000 and counting. I love reading your comments here and on social media, thank you for supporting this creative blogging journey I’m on. 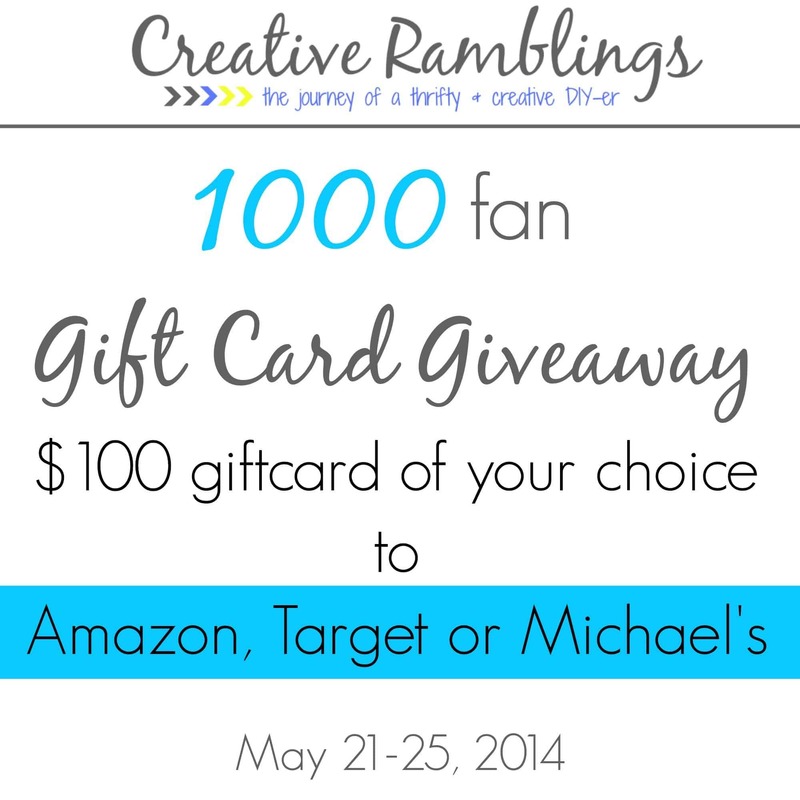 To say thank you I’ve teamed up with some of my blogging buddies to give you a chance to win a $100 gift card to either Amazon, Michael’s or Target. You know you are already thinking about how you would use that gift card. I love gift cards because they often force me to buy something for myself in a store I love, versus cash that usually goes towards bills. I hope you feel the same way! So happy to be participating in this giveaway with you! Congrats on your milestones! Thanks for celebrating with me Tara! Thank you so much for the gift card. 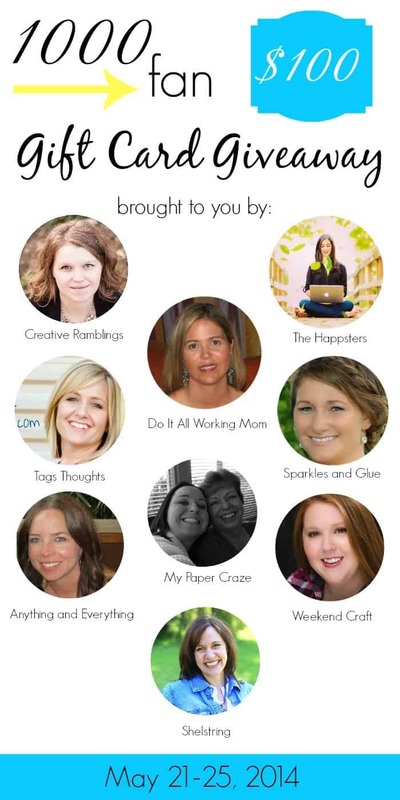 Love your blog and ideas. You are welcome Mary, thanks for entering.